"Mr. Wang sits at the pinnacle of the Chinese documentary groundswell." "The most intrepid chronicler of post-Mao China." "In chronicling individual, present-day lives, Wang gives a sense of his country's recent history. Political critiques are instead largely left implicit, and made through Wang's act of allying himself with people that have been pushed onto his culture's fringes. The films suggest that China's transition from Maoism to an assimilation of capitalism has not only failed to improve, but actually worsened the lives of many of its citizens, who survive in spite of it. The people that Wang records are ones who move him, as evidenced by his willingness to let them guide the films." 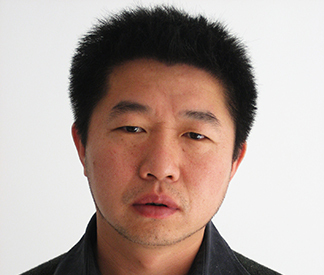 Wang Bing has been a leading documentary filmmaker of the burgeoning independent documentary scene in China for the past decade. Acclaimed by critics and recognized as one of the most important Chinese artists and filmmakers of his time, his work has garnered awards and international praise at major film festivals. Born in Shaanxi, a province in central China in 1967, Wang first studied photography at the Lu Xun Academy of Fine Art before studying cinematography at Beijing Film Academy. He began his career as an independent filmmaker in 1999. Released in 2003, his directorial debut WEST OF TRACKS is a monumental documentary work, exceeding 9 hours in length, that was a great success internationally. Filmed in the northern Chinese district of Tiexi, WEST OF TRACKS is a strikingly profound contemplation on the lives of workers in the decaying industrial district. Since 2003, he has made 10 documentaries, many of which have been released in theaters, with THREE SISTERS receiving more than 45,000 viewers in France. Retrospectives of his oeuvre have been presented at institutions including the Centre Pompidou in Paris and the Cinémathèque Royale de Belgique. In addition to documentaries, Wang has also created fiction films (BRUTALITY FACTORY, THE DITCH), and installations (including CRUDE OIL, BEAUTY LIVES IN FREEDOM), and photographic series. Dead Souls - Presents the testimony of survivors of the hard-labor camp in China's Gobi Desert. The film invites us to find out firsthand who these people were, the hardships they were forced to endure and what became their destiny. Ta'ang - A powerful and revealing observational documentary that follows members of the Ta’ang minority as they flee to China to escape an ongoing and escalating civil war. 'Til Madness Do Us Part - The daily lives and loneliness of a group of men locked in one floor of a Chinese city's psychiatric institution.